The Dinan Monoball Kit provides responsiveness you can feel by replacing the rubber bushings in the thrust arms with precision ball joints and machined aluminum housings. 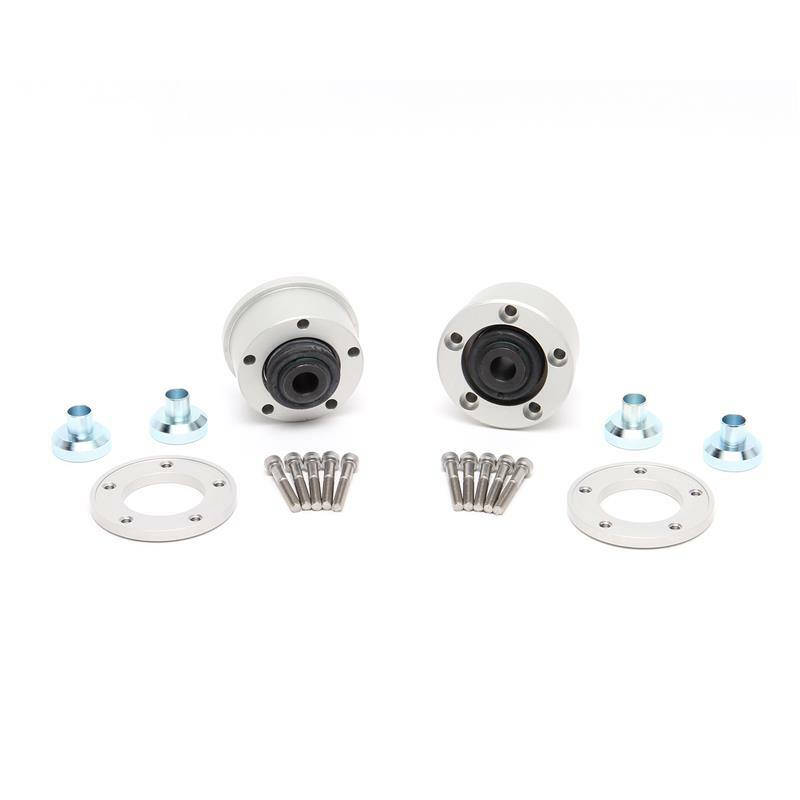 Improves responsiveness by eliminating the deflection inherent in the stock rubber bushings while also reducing brake shimmy. The quietest bearings on the market are virtually noise free so you can live with them every day. These are the only bearings on the market that are sealed using a rubber boot to keep out dirt and road grime stopping them from wearing out prematurely.